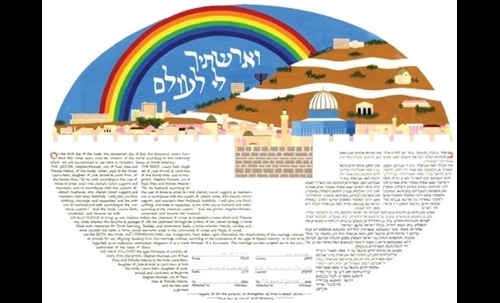 For millennia Jews have written and signed Jewish marriage contracts, called ketubot. 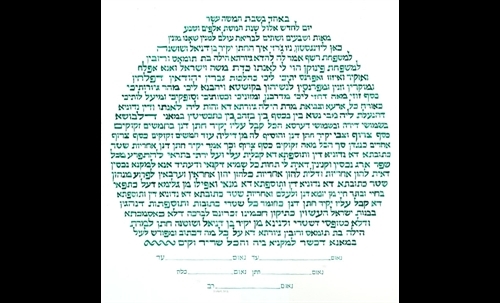 A traditional ketuba, written in ancient Aramaic, lists obligations the groom has toward the bride. 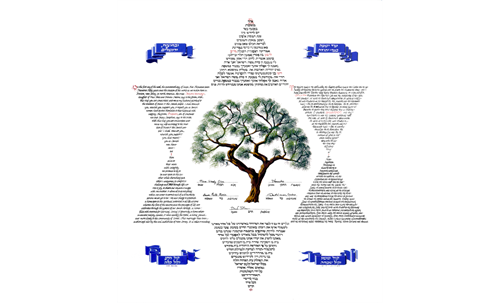 It includes the full Hebrew names of bride and groom as well as the Hebrew date and the place where the marriage was performed. 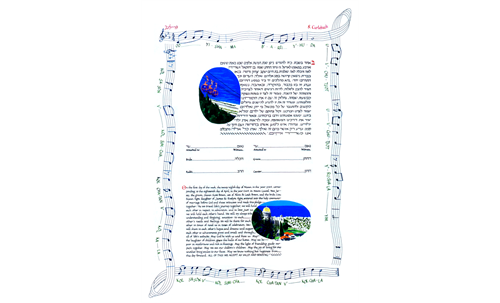 At least two Jewish witnesses, unrelated to the bride and groom, sign the ketuba. There is a long tradition of beautifying the ketuba with fine art and calligraphy, suitable for framing and displaying prominently in your home. Some ketubot include the newlyweds’ native language, e.g., English. Some include songs or love poetry. Often there are spaces available for the bride and groom to sign, along with witnesses and clergy. I can tailor your ketuba in shape, size, writing style, artistic designs, and theme. I will even write the words that you create! Just bring me the text that the officiant has approved. 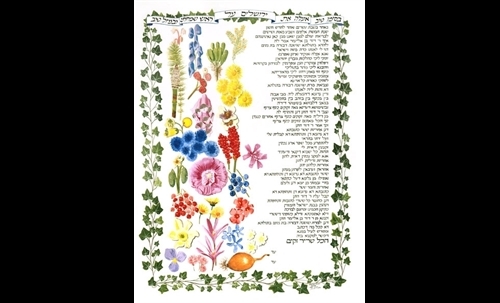 I can write documents with the Roman alphabet (what you are reading), the Hebrew alphabet (א ,ב ,ג), and the Greek alphabet (α, β, γ), suitable for museum-quality matting and framing. 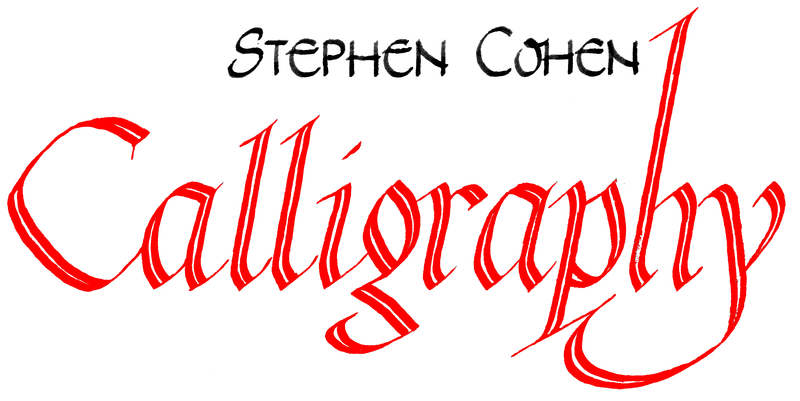 All my calligraphy is custom-made, using the highest-quality inks, papers, and illumination. Real gold-leaf is available!